Ghandour said that they were not talking "about threats to a country per se" but that they have information that shows there are some who would mean them harm. "This is why we are anticipating whatever danger can come from there," Ghandour said. The meeting took place amid deteriorating relations between Sudan and Ethiopia on one side and Egypt and Eritrea on the other. Khartoum has also recalled its ambassador in Cairo following the reports of Egyptian troops presence in Eritrea. 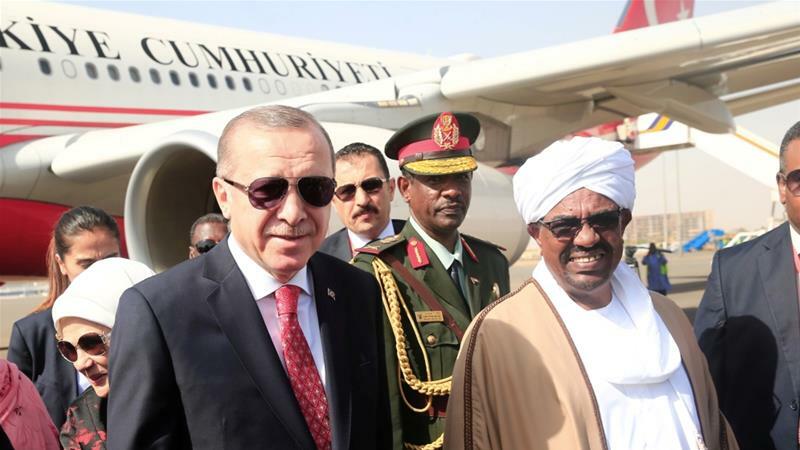 The latest tension was sparked after Sudan signed an agreement to temporarily hand over the Red Sea island of Suakin to Turkey. Ankara and Khartoum said Turkey would rebuild the ruined, sparsely populated Ottoman island to increase tourism and create a transit point for pilgrims crossing the Red Sea to Islam's holiest city of Mecca. Turkey is also set to build a naval dock on the island. Egyptian media criticised the agreement and alleged Turkey would build a military base on the island. Ties between Turkey and Egypt have been frosty for some time. Ankara strongly condemned Egypt's military coup in 2013, which overthrew democratically elected President Mohamed Morsi of the Muslim Brotherhood. Political tension between the Egypt, Sudan and Ethiopia has been rising for years over the use of the water of the Nile River and Ethiopia's decision to build the continent's biggest hydroelectric dam on the river. Egypt has been at odds with Sudan and Ethiopia over the $4.8bn dam project, with Cairo fearing that its position downstream may affect its access to water from the Nile River basin, which will feed the dam. Cairo accuses Sudan of supporting the Grand Ethiopian Renaissance Dam (GERD) project, while Khartoum accuses Egypt of supporting rebels in Sudan. Meanwhile, Eritrea has fought two border wars with Ethiopia - which has had a decades-long dispute with Egypt over the Nile River water. The border wars left more than 80,000 people dead and the two East African countries are technically still at war.